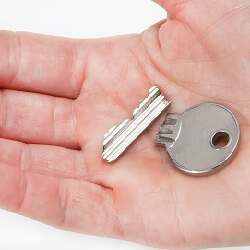 Our trained, certified professionals at Locksmith Bee can replace and repair broken locks or even extract broken keys that may be jammed into the locks to your house. Keys become jammed due to changes in weather or faulty lock mechanisms. Over time locks break down and without regular maintenance the chances increase of needing key extraction services. Professional locksmith companies can extract keys from locks and if needed replace the mechanism to ensure easy entrance, but only Locksmith Bee can do it in under 30 minutes. Whatever locksmith issue you have at home, it can easily be resolved with our fast and friendly, residential locksmith services, so don’t hesitate to give us a call. With up front pricing, fast and friendly service, and 24/7 mobile locksmiths, our service will be sure to get you out of your jam and on with your schedule.